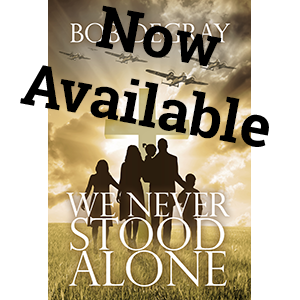 I’ve been working on a WW2 Christian Fiction story for Christmas Eve at Trinity Fellowship. I don’t want to give away too many spoilers, but I will say that the research has involved looking into ‘the righteous among the nations’ who were from Germany. Active solidarity with persecuted Jews was a strictly circumscribed phenomenon in German society under Hitler. The comparative figures of the Righteous in Yad Vashem are representative in this respect, though far from exhaustive. As of the time of writing, the title of “Righteous” has been conferred on some 17433 individuals, amongst them 5373 Poles, 4289 Dutchmen but only 336 Germans. One of the reasons for this disparity is simply there were not that many Jews in Germany. In 1933 there were half a million Jews in Germany proper, as opposed to millions in Poland and Russia. By the outset of hostilities in 1939 some 300,000 had emigrated. The remaining 200,000 were deported, first to temporary enclaves and ghettos in the occupied territories, and then ultimately to the death camps. Only some 20,000 survived in hiding in Germany or as ‘half German’ privileged persons. So there was limited scope for ‘the Righteous’ to act. Many of those who did help the Jews were associated with the Confessing Church. 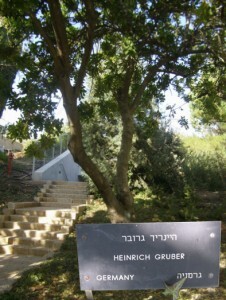 Pastor Heinrich Gruber, whose sign and tree are depicted above, was one. He was born in 1891 and was a chaplain during World War 1. Before the rise of Hitler he led a youth organization and an organization attempting to relieve unemployment, but when the Nazis came to power he resigned rather than run an organization for them. In 1933 he became one of the founders of the Confessing Church movement, and one of the few vocal supporters, even within that movement, of direct help to persecuted Jews (as well as to Jewish Christians and Jewish Pastors). He was named the pastor of the Confessing Church body in Kaulsdorf, a Berlin suburb, and supported other Confessing Church bodies in the region. Frustrated with the Confessing Church’s lack of action to help the Jews, Gruber organized the “Relief Center for Protestant Non-Aryans.” This burea gave pastoral care to non-Aryans and helped them emigrate. Since emigration opportunities for Jews were severely limited, even free nations forming traditional immigration destinations had shut their gates, pastoral care was a priority. The bureau also provided illegal aid to persecuted people, including false passports and medicine and food for concentration camp inmates. 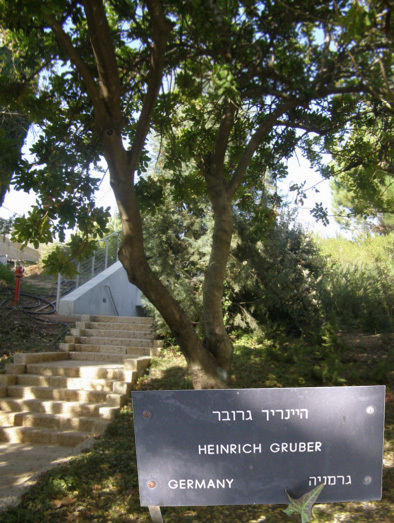 Eichmann asked Grüber in a meeting about Jewish emigration why Grüber, not having any Jewish family and with no prospect for any thanks, does help the Jews. Grüber answered because the Good Samaritan did so, and my Lord told me to do so. Gruber vocally and publicly opposed the deportation of German Jews to Poland and other points outside Germany, even taking his protests all the way up to Hermann Göring. 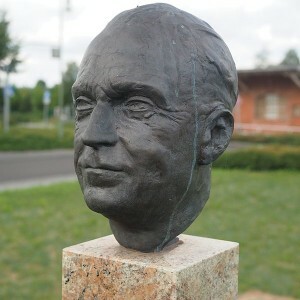 Grüber managed to get himself a passport, with the help of Dietrich Bonhoeffer’s brother-in-law Hans von Dohnanyi from the Abwehr, to visit the deported in the Gurs (concentration camp). But before he left the Gestapo arrested Grüber on 19 December, 1940 and deported him two days later to Sachsenhausen concentration camp, and in September 1941 to Dachau concentration camp, becoming Inmate No. 27832. Eventually, due to international efforts and multiple interventions, Grüber was released to his family in Kaulsdorf. He agreed to not help the persecuted any more, but did resume his office as pastor of Kaulsdorf and the Confessing Church. 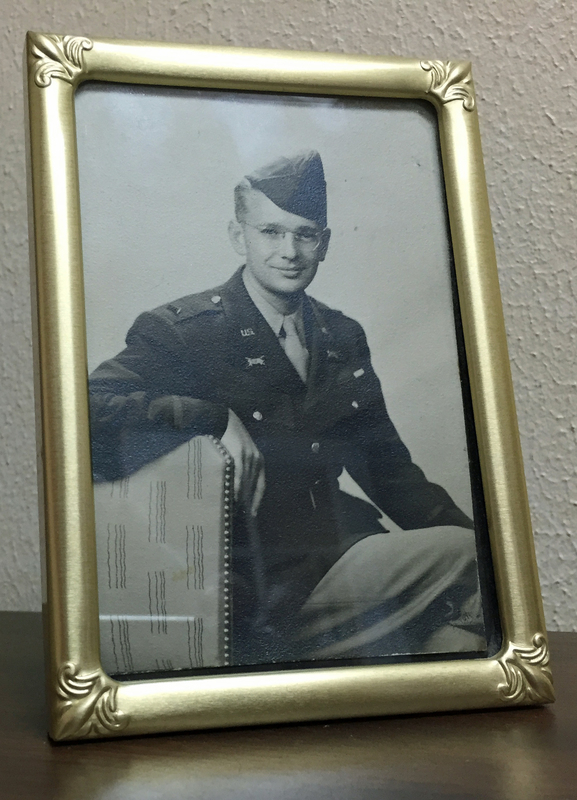 After the war he continued to work for the needy and for the Jews, and was named ‘Righteous Among the Gentiles’ on 28 July, 1964. Only 335 other Germans were given this honor.